What a fun card design. I love all the butterflies and the open center. Love this! Your butterflies are beautiful. Oh my!!! What a beautiful and color filled card!! Love the way you CASEd this!! SWOON!! Those butterflies are amazing Joyce, this is so PRETTY!! This is so pretty Joyce! 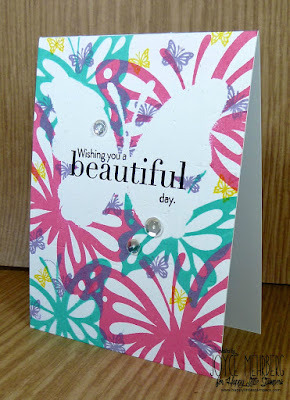 I love all those beautifully stamped butterflies. 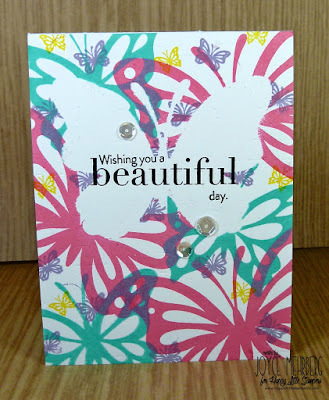 Your butterfly masking card is awesome!!! Love your color and design!!! 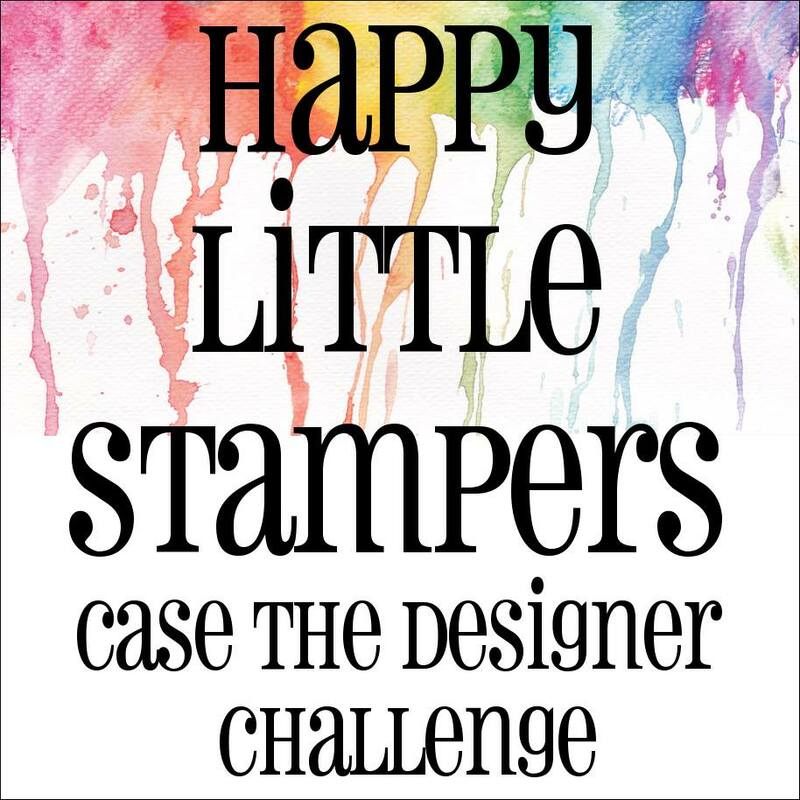 What a fun idea and beautiful inspiration from you both! Your masking looks great and so does your card ! So creative, Joyce! Love the butterflies and the great colors! This is brilliant! Love the layered butterflies - they make such a cool pattern! I love how you CASED Gloria's lovely card Joyce. Such a vibrant and cheery card. This is sooooo beautiful!! 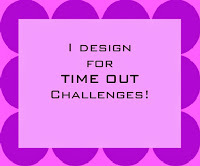 I WILL play along with this challenge! by hook or by crook! : ) I wonder what that saying really means LOL Perfect CASE Joyce! This is SO COOL!!! I LOVE your masking!! Mega-swooning over your card, Joyce, that features a kaleidoscope of my favourite images! Butterflies and more butterflies....love this! Love your cheerful bright card with the overlapping butterflies and the little butterflies in between! I would have had such a hard time deciding what set to use - butterflies were an excellent choice! 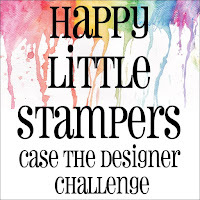 Beautiful stamping! 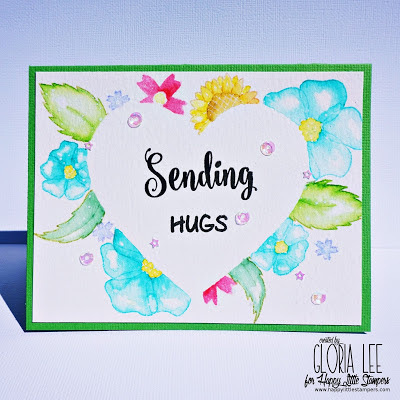 This is a great result from the technique you used to CASE Gloria's beautiful card. Fantastic color combo. 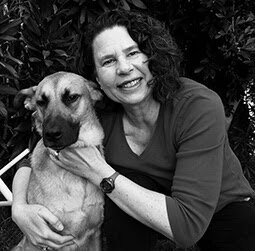 Love your technique! This so beautiful! 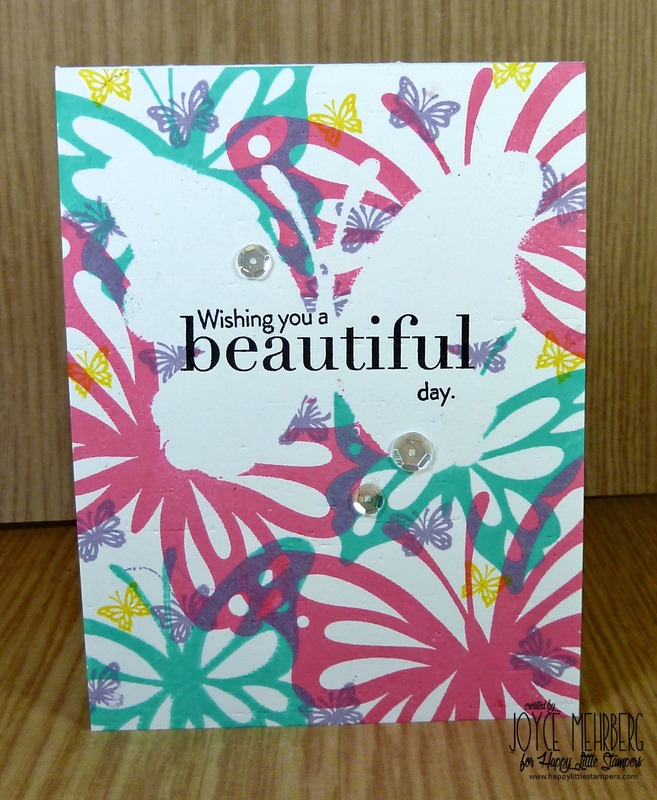 A beautiful CASE of Gloria's card Joyce, the butterfly is the perfect shape to use for white space!